For some reason the firmware of our devices will be upgraded periodically. 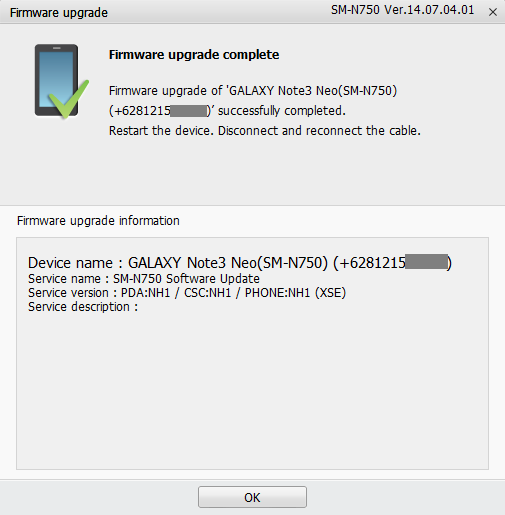 I have Samsung Galaxy Neo 3 (SM-N750) that check the update regularly. 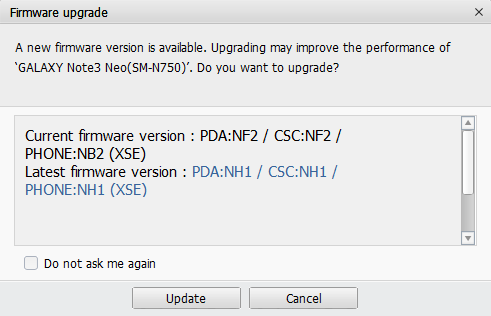 I did upgrade using phone, and then at the last update I got error and the phone ask me to upgrade using Samsung Kies. I downloaded Samsung Kies 3 that suitable for Samsung Galaxy Note 3 Neo. After connect the device to the PC using cable, I got my phone connected with Kies 3. Then, Samsung Kies software give me notification that my Samsung Galaxy Note 3 Neo need a firmware upgrade. I clicked ‘'update” button. The software give me caution and ask me to checked that I have read all information on upgrade process and sign agreement by clicking radio button in their form. 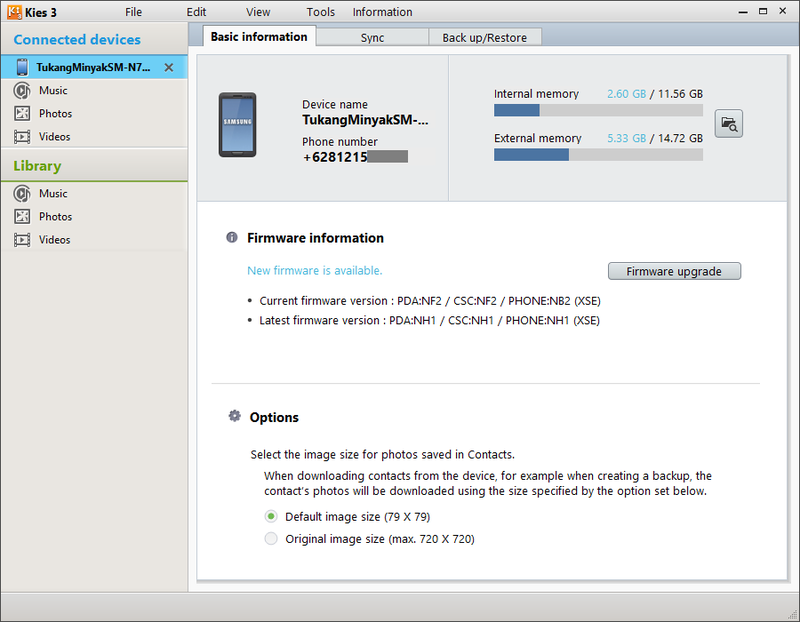 Then, Samsung Kies prepare for firmware upgrade by downloading firmware upgrade components. 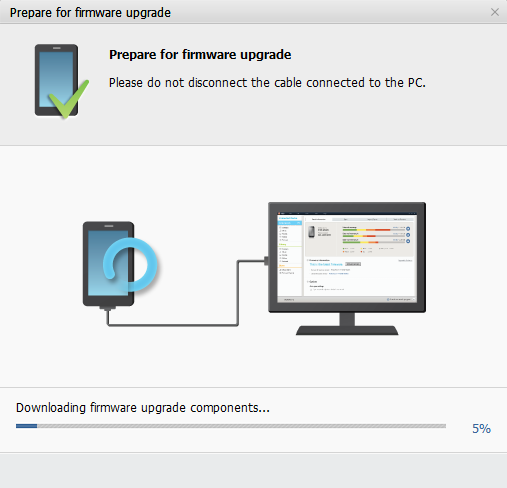 Samsung Kies downloaded file for firmware upgrade. The software ask me to not disconnect cable connected to the PC to avoid interrupted upgrade. During upgrade process, the Samsung device will be restarted few times. Then Samsung Kies will give information that upgrade process succesfully completed. Just restart device, disconnect and reconnect the cable, and upgrade is done.